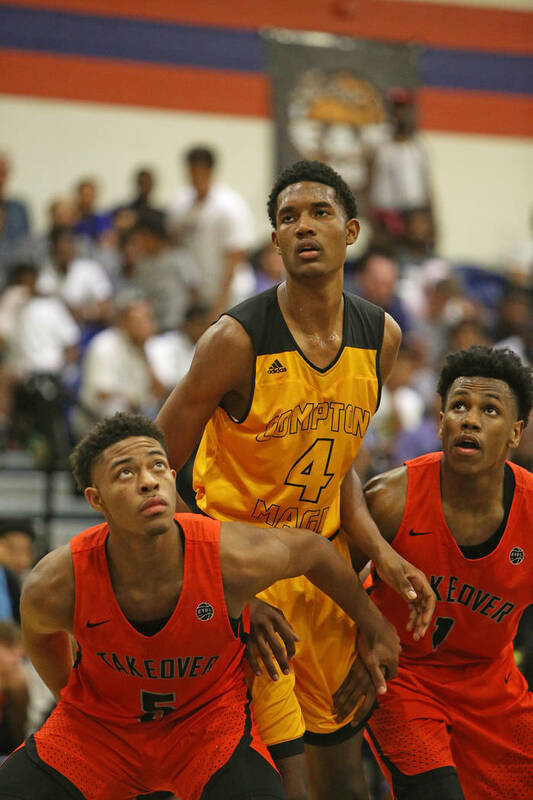 The Mobley brothers are indicative of the talent in Las Vegas this week. 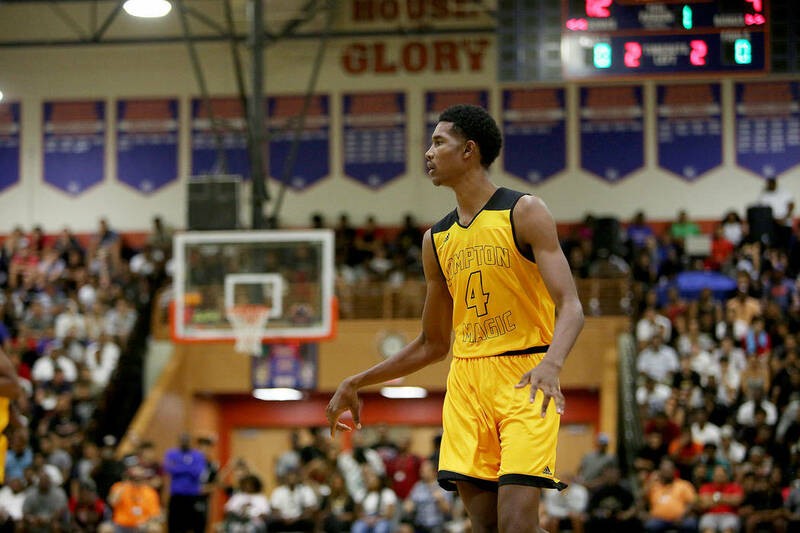 Evan, a 7-foot power forward, is the top player in the 2020 class, according to ESPN. Isaiah, a 6-9 power forward, is ESPN’s No. 16 player in the 2019 class. 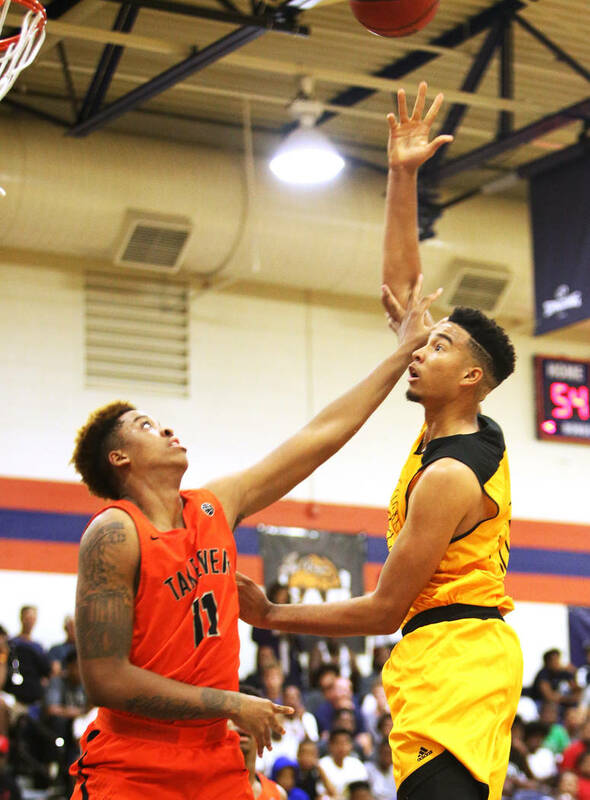 Isaiah Mobley saw his brother and knew just what to do. He lobbed the basketball toward the rim, Evan caught it and slammed it down for a ferocious jam. 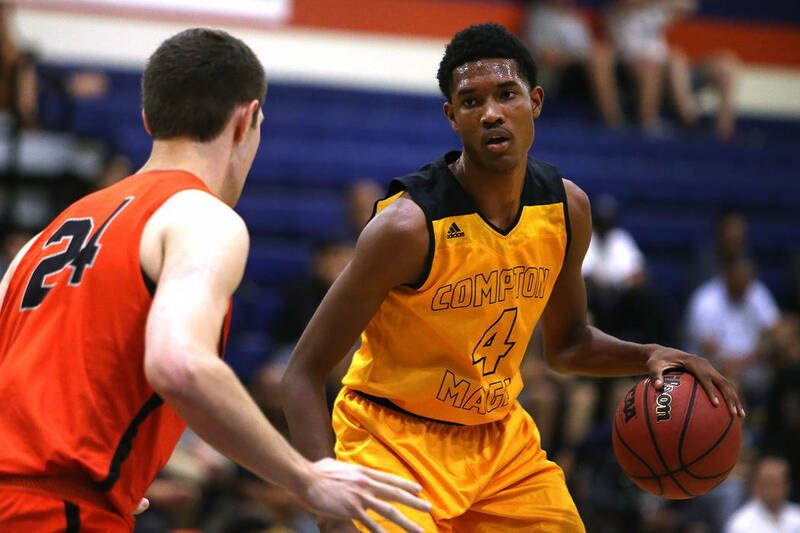 Their Compton Magic basketball team would go on to defeat Team Takeover 81-79 in overtime Wednesday night at Bishop Gorman. 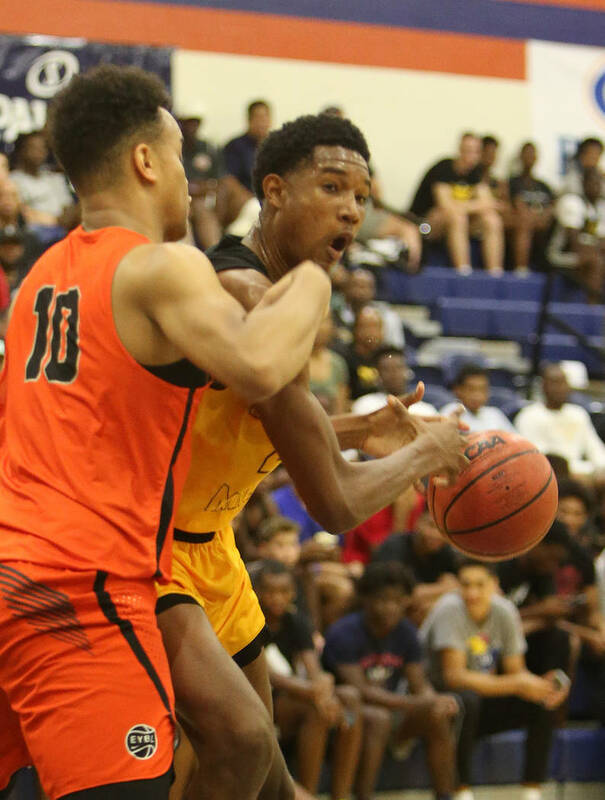 The game was dubbed as a mythical national championship of sorts, after the Compton Magic won the Adidas Summer Championship and Team Takeover claimed the Nike EYBL Peach Jam. Team Takeover was ranked No. 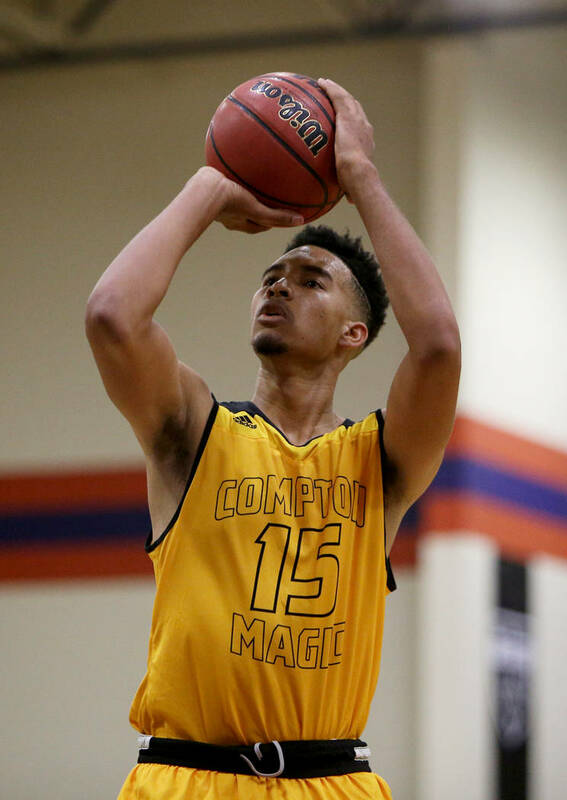 1 and Compton Magic No. 2 in the country by Prep Hoops. 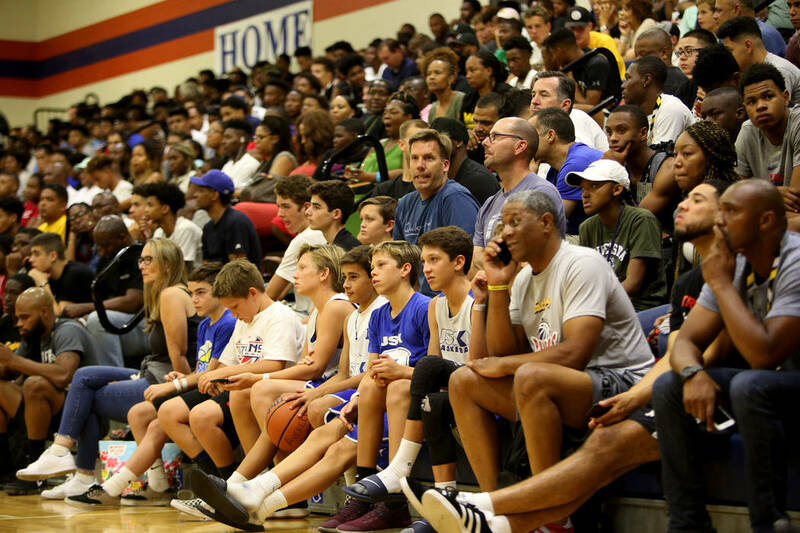 The Fab 48 tournament game lived up to the hype before a sellout crowd that included numerous college coaches. The brothers are indicative of the talent in Las Vegas this week. 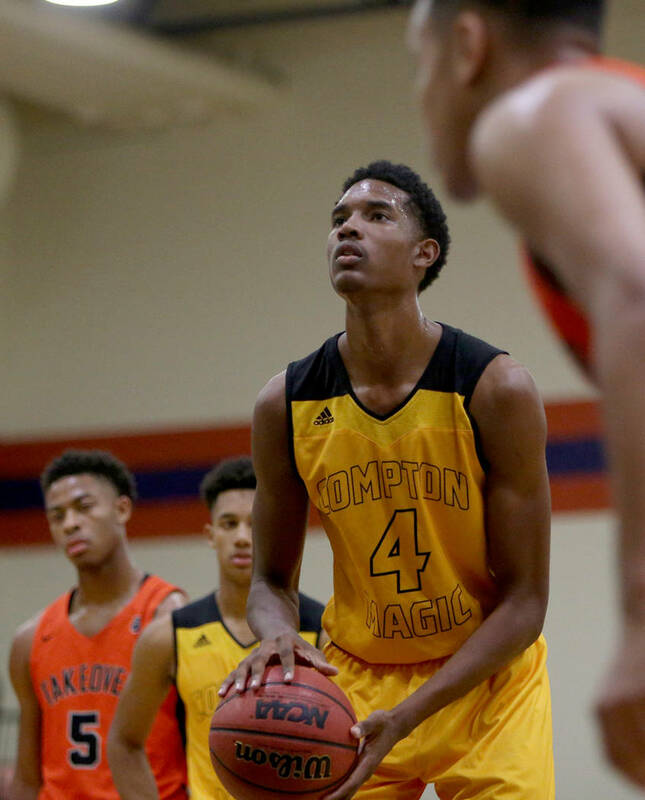 Evan, a 7-foot power forward, is the top player in the 2020 class, according to ESPN. Isaiah, a 6-9 power forward, is ESPN’s No. 16 player in the 2019 class. 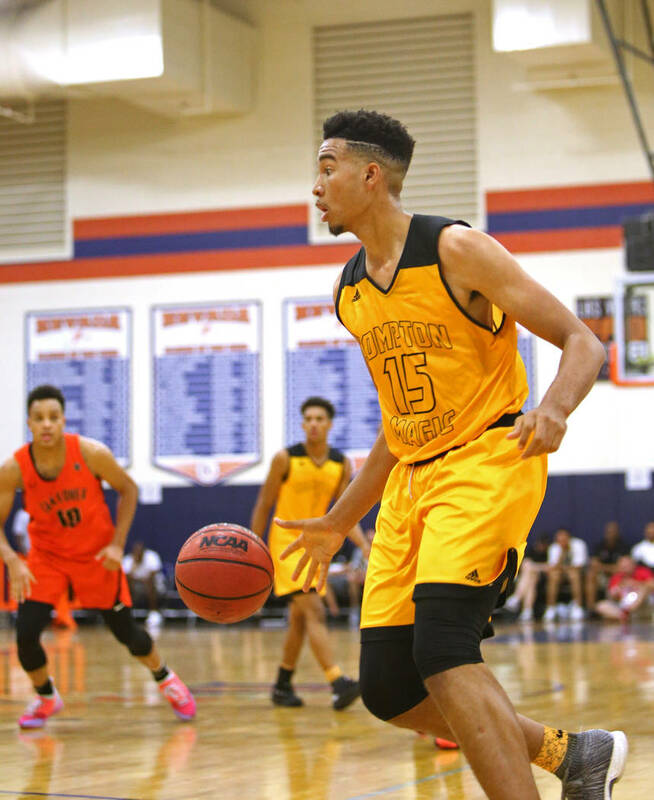 The two, who play at Rancho Christian School in Temecula, California, continue to wreak havoc on the AAU circuit. 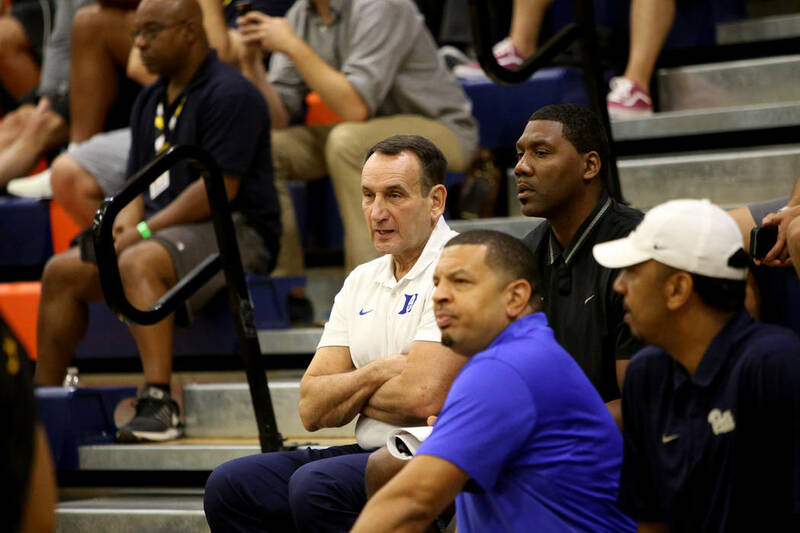 Isaiah is committed to Southern California, where the brothers’ father, Eric, is an assistant coach. Evan said he is no hurry to commit, but that doesn’t mean Isaiah isn’t working on him. “I try to do my due part in recruiting him,” Isaiah said. 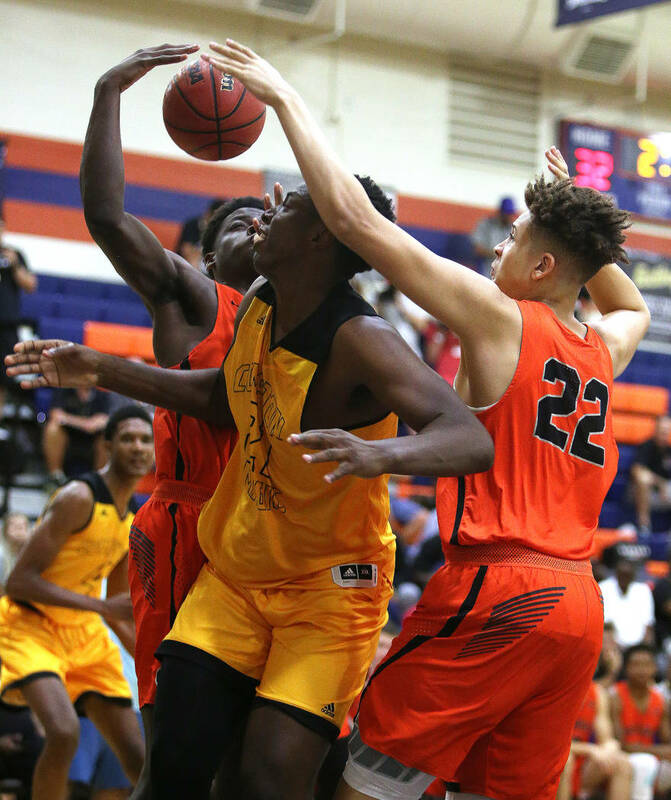 The night after an unruly fan caused LeBron James Jr.’s game to be canceled at Liberty, the elder James and his family were at Bishop Gorman on Thursday to check out Each 1 Teach 1 EYBL, which features Dwyane Wade’s son Zaire. The game was played without incident. James was smiling widely as he hustled across the court while play was at the other end to hand off daughter Zhuri, who had been sitting on his lap. A high-rising dunk brought James and most of the rest of the crowd to their feet later in the game, and he and Wade fist-pumped after Each 1 Teach 1’s buzzer-beating 77-75 win over NJ Playaz 17U in the Fab 48 tournament. Tournament personnel surrounded James and Wade after the game to keep fans at bay, and James quietly left out a back entrance after snapping a couple of pictures with the Wades. Things weren’t as calm Wednesday when a fan heckled James before his son’s game. No arrests were made. Noah Taitz hit a 3-pointer at the buzzer to lift the Vegas Elite 2020 EYB to a 68-67 win over Dream Vision in the Fab 48’s 16 Invite bracket. 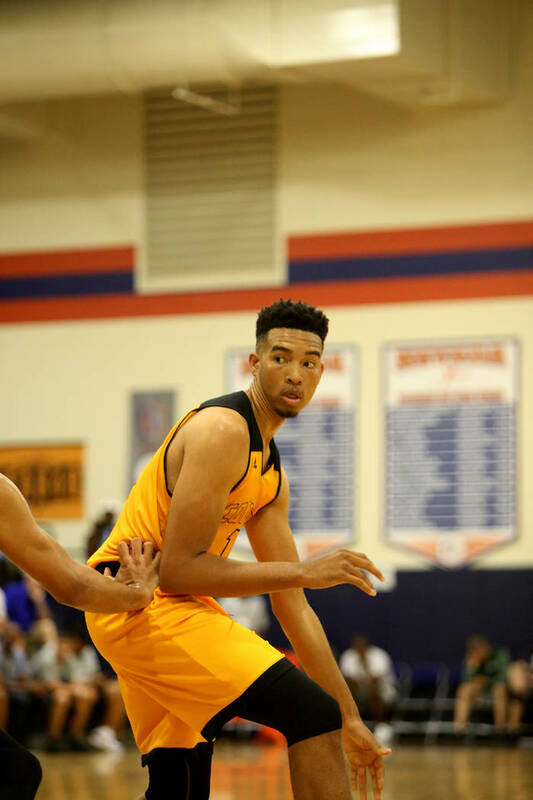 The shot also sent two of his Bishop Gorman teammates home unhappy. Taitz scored 13 of his 18 points in the second half for the Elite, which is made up almost entirely of Gorman players. Zaon Collins, who also plays for the Gaels, had 26 points, nine rebounds and eight assists for the Elite. 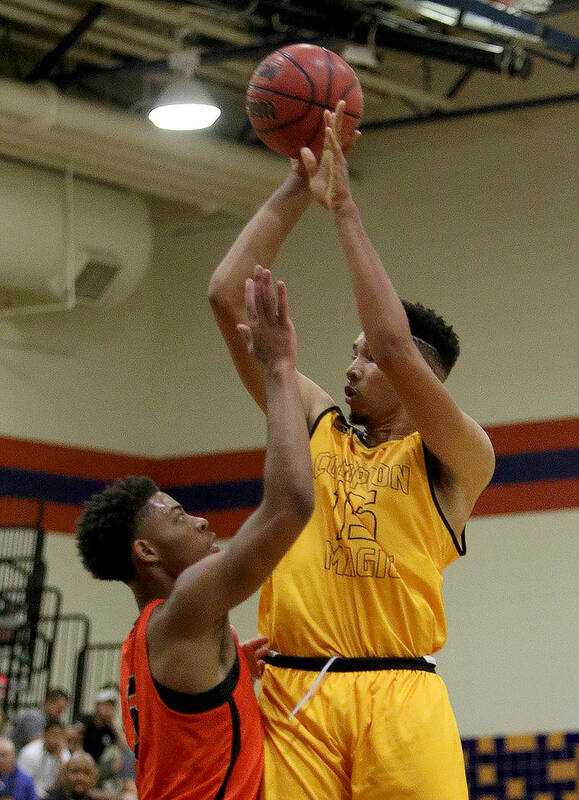 Gorman’s Isaiah Cottrell and Will McClendon played for Dream Vision. Cottrell, a 6-10 post player, had three points and seven rebounds. McClendon had 12 points and five rebounds. 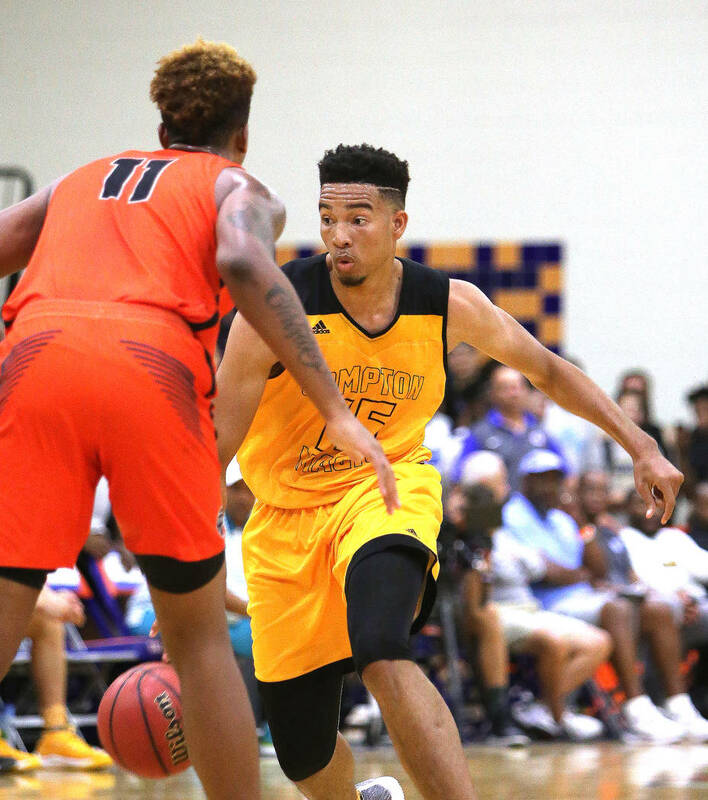 Earlier on Thursday, Taitz and Collins combined for the team’s final eight points as the Elite escaped with a 60-59 win over Meanstreets 16U. Contact Justin Emerson at jemerson@reviewjournal.com or 702-387-2944. Follow @J15Emerson on Twitter. Contact prep sports editor Damon Seiters at dseiters@reviewjournal.com or 702-380-4587. Follow @DamonSeiters on Twitter.